We’ll consider tackling any job that uses our extensive mechanical, and fitout expertise. 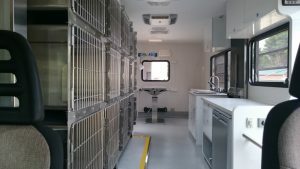 Some projects we take on involve unique vehicles, like the ‘vetinary surgery’ conversion of a Winnebago for a lost dogs home. If you have a vehicle, an idea, and don’t know where to start – contact us to see how we can help.